Looking for new ideas on how to decorate your child's room or nursery? 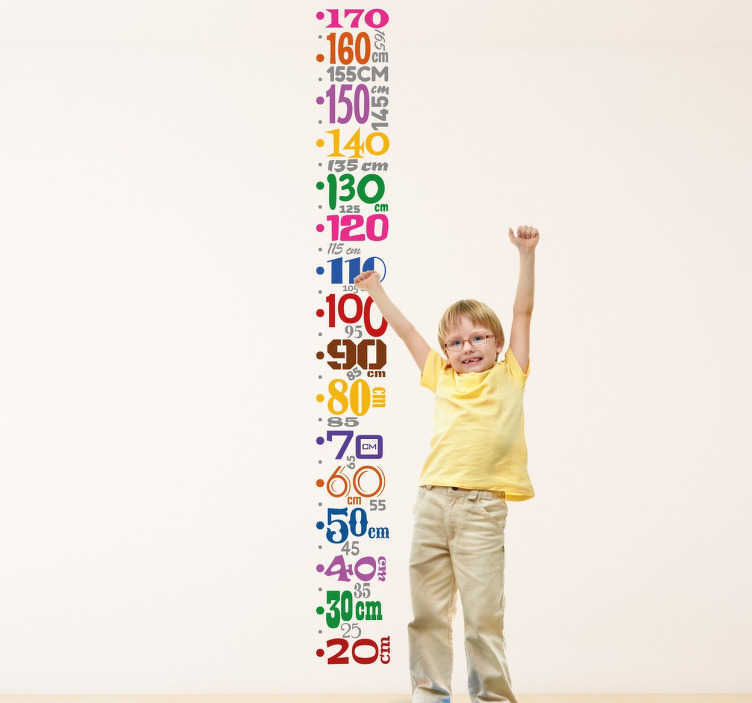 This kids height chart wall sticker is perfect, it measures the progress of your child's growth over the next couple of years and brings colour to the room's overall decor. Each number comes in a different colour and font to bring imagination to your child's bedroom. The unit of measurement is in centimetres.